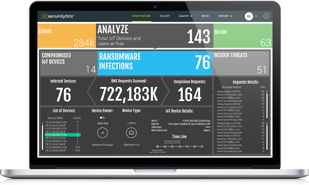 With our CloudSIEM module, Securolytics will assist your team in monitoring all aspects of your Infrastructure. Through our portal, you will be able to view real-time and historical reports for any of your systems. You can index all types of machine data across server, storage, network devices as well as virtualization layers, OS and applications to get the complete end-to-end picture of your environment and monitor key operational metrics across every layer of your IT stack to see that SLAs are met. The reports from the Log Analysis module will assist greatly during audits and other compliance related activities.